Maharashtra Police is the law enforcement agency responsible for the Indian state of Maharashtra. It is headed by Director General of Police and headquartered in Mumbai, Maharashtra. It has one of the largest police departments in the country, having about 35 district police units in the state. The Maharashtra Police Department has a strength of nearly 1.95 lakh.It also has 1.5 lakh women in its force. 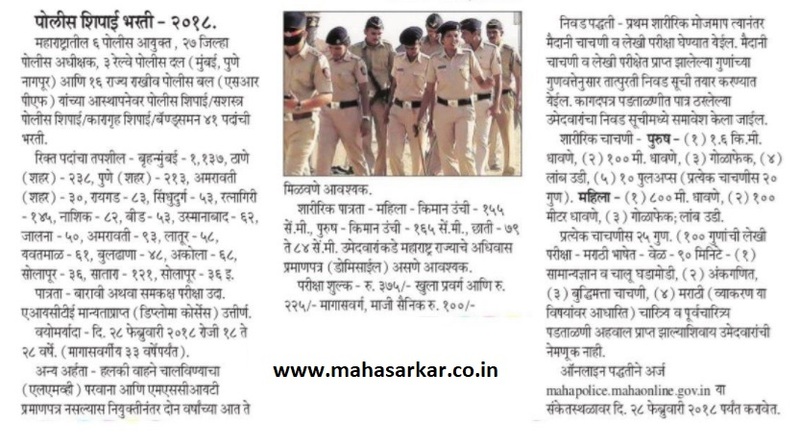 Maharashtra Police Bharti 2017 Practice Question Papers, Maha Police Bharti 2017 Question Papers Set wise Download. Police Recruitmet Examination Previous year set available now for eligible candidates. 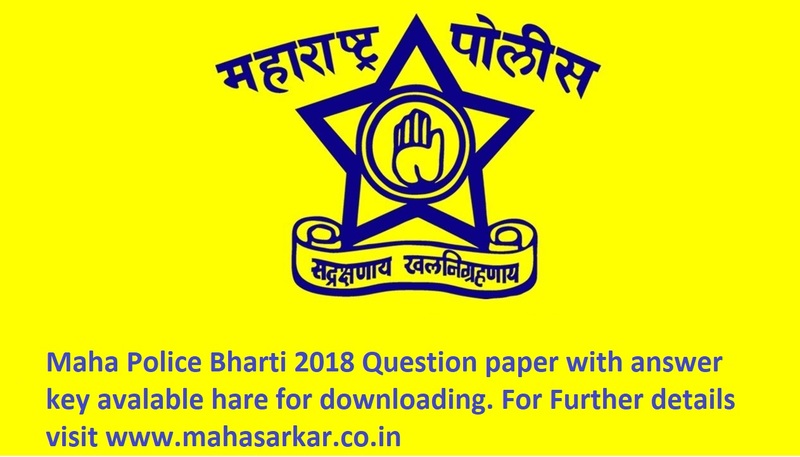 Police Recruitment Papers 2017 Download from this post, District wise Recruitment Examination Question Paper with Answer key available on this section, Previous year paper set of police bharti examination 2017 available on mahasarkar.co.in, All question papers set of Maharashtra police examine 2017 Papers available with pdf format. Maharashtra District wise Police Bharti 2017 Question Paper with answer key Given below. District wise Question paper’s pdf link of MAHA Police recruitment 2017 Written Examination Given here on mahasarkar.co.in.